How do you create a sellfreeusa.com account? Easy... here you go! Here's a quick step by step on how easy it is to create a free user account at sellfreeusa.com and start posting free online classified ads immediately. No email verification, no phone verification, no begging and whining, just create an account so that 1. No one else can get in an monkey with your ads. 2. give an anonymous email link for people to contact you and 3. (after you sign in and go to your account) put in a contact phone number, if you want to, that will automatically post along with every ad YOU post. First, go to http://www.sellfreeusa.com and you will see the very front page of the site here, with a full map of the United States on it. Next, click on the State you live in. We'll choose Missouri for this new account. Now you are on the main classifications page for Maryville, MO. Anyone who wants to post a photo ad for Maryville will put it here. At the top of the page, you will see a link titled Register. That is where you will create your own unique sellfreeusa.com user account. In here you can change your personal info, your contact info, publish AND unpublish ads at will and more. Sound like fun? Let's get started. Here is where you enter your email address and password to log into the account. Don't forget! If it weren't for this, anyone could jump on and monkey around with your ads... and that would NOT be fun. And there you are... at your very own unique accounts page. From here you can go in and add a phone number by editing your demographics or just dive right in and start posting ads by hitting the Create an Ad! button. See! We told you it was no big deal! Now go have fun and start posting away. We expect you and your friends to help us fill this site up with all sorts of cool stuff, services, info, events, personal ads and much much more. Thanks in advance for the ads! As of Thursday, October 20th, 2011. www.sellfreeusa.com and our favorite local radio stations, 97.1 the 'vill and pickup country will partner up. 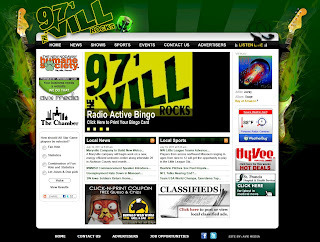 This creates an entirely new world for these two great radio stations and expands their current free online classifieds out into an exponential new world of users and listeners. For us here at SellFreeUSA, it gives us the small seed we had been hoping for. After years of designing and tweeking and thinking, we can't wait to put this out in a small midwest market and let people play with it, tell us what they love and more importantly what they DON'T love about the site, so we can change it and make it better. Stay tuned.... we are here waiting to help you out in any way we can. If your local radio station needs help in the ads department, have them contact us about this exciting new program and watch sellfreeusa.com grow a little here, a little there and then finally.... grow everywhere.